Buying a home should be a pleasant experience, whether you’re a first-time home buyer or a repeat home buyer in the market for a new home, a vacation home or an investment property. We understand that the typical home buyer doesn’t know the first thing about getting a mortgage, or how to get from pre-qualified to closing. The home buying process can get pretty overwhelming. 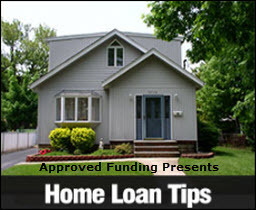 Approved Funding helps make it easy to purchase a new home. We’ll walk you through the process of buying a house from start to finish. And we’ll stand by you every step of the way to make sure your experience is a positive one. Since 1987 Approved Funding has helped thousands of home buyers finance Billions (with a “B”) in mortgage loans. Find out how we can make this home buying experience the best one yet! Both buying and renting have their advantages. The better choice for you depends on your circumstances. Here are some of things to keep in mind when you weigh the benefits of renting against the benefits of buying. 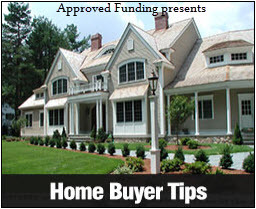 First time buyer benefits include opportunities to: • Gain home equity by paying principle. The principal portion of every mortgage payment you make has the potential to grow your asset. • Take advantage of tax benefits as mortgage industry and real estate taxes are usually tax deductible. (Consult a tax advisor regarding the deductibility of interest.) 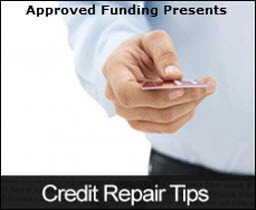 • Build your credit by making on-time mortgage payments can help you create and keep up a strong credit history. Buying your first home also comes with added responsibilities: • Commitment to making a monthly payment in full and on time, today and into the future. • Extra expenses, including property taxes, homeowners insurance, homeowner’s association dues, tax assessments, and, if you put down less than 20%, private mortgage insurance • Unpredictable maintenance, including small expenses, like a clogged drain, to big expenses, like replacing a roof. Only you can decide whether buying a home fits your life and current financial situation. Your Approved Funding mortgage advisor will help you weigh the benefits of both and advise you on next steps. Your home buying goals are as unique as you. Knowing that every client’s situation is different, Approved Funding offers customized mortgage solution that matches your needs. The potential financial and personal benefits that go along with buying your next home may include: • Gaining additional space. • Downsizing to a more manageable space. • A quicker commute or total job relocation. • Enhanced upgrades or amenities A few things to consider before buying your next home: • Your primary reason for purchasing. • The cost and time of selling your current home. • Your increasing or decreasing budget. A few things to consider before buying an investment property: • Added financial responsibilities in addition to the mortgage, such as homeowners association dues, cleaning services, flood insurance and utilities. 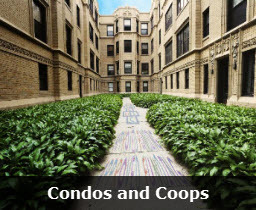 • Loan requirements, as investment property loans typically have higher interest rates, require larger down payments and have different underwriting requirements than properties occupied by their owners.